Should human beings be allowed to decide when to die? Should doctors be allowed to assist them? During the last ten years there has been much international interest in euthanasia in the Netherlands. 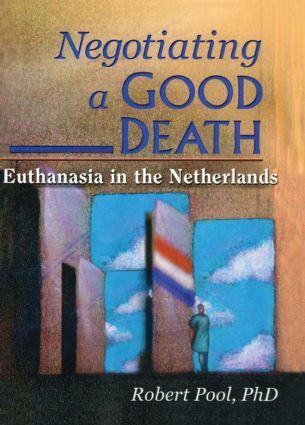 In the discussion of euthanasia in the US and the UK, both sides in the debate continually refer to the “Dutch Experience”. Negotiating a Good Death: Euthanasia in the Netherlands presents firsthand descriptions of euthanasia in practice in the Netherlands--something that has never been done before. This will provide a deeper understanding of the issues involved for all those interested in end-of-life decisions. It will also help clinicians and other medical professionals better understand end-of-life decision making. Negotiating a Good Death is the first inside account of how decisions about euthanasia are made in real-life situations. Documenting two years of observations at a Dutch hospital, this valuable book describes why patients request euthanasia, the social factors that influence doctors’decisions about granting patients’requests, and how patients and doctors confer over peaceful deaths. Through case studies and examples, Negotiating a Good Death: Euthanasia in the Netherlands will help you understand the issues surrounding euthanasia and how life-ending decisions are made by both doctors and patients.